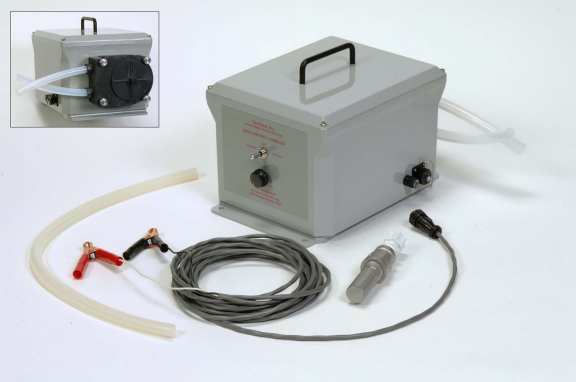 Peristaltic pumps provide a cost effective method to purge and sample from shallow wells. Options include the Model 5750 (12-volt DC) or the Model 5751 (12-volt DC and 115-volt AC) Shallow Well Sampler. Purge rates up to 1 gallon per minute with speed control adjustment to permit 100 ml per minute sampling rate.